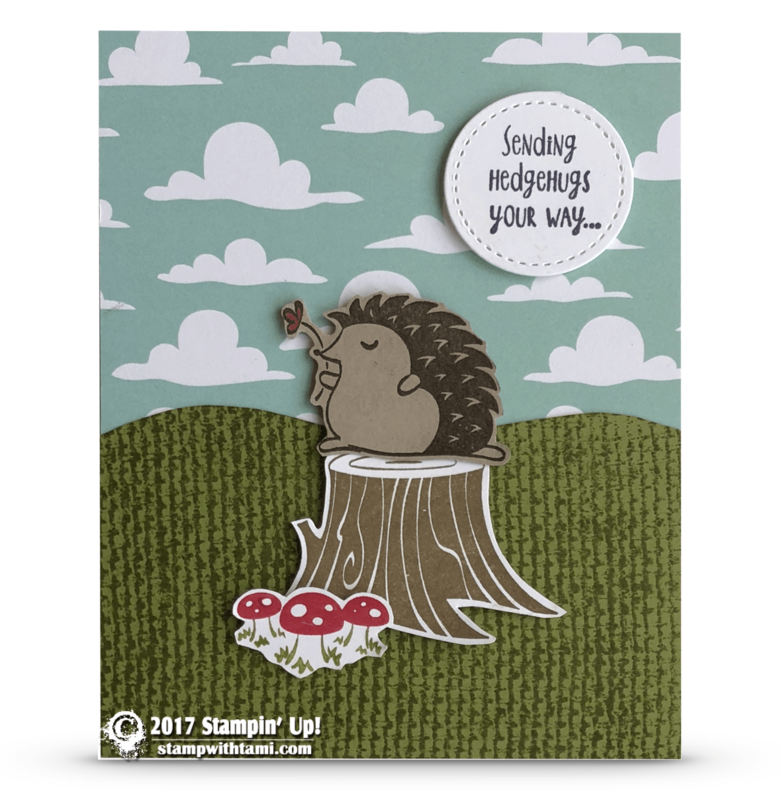 This little hedgehog card from the Stampin Up Hedgehugs stamp set is so stinkin’ cute I can’t stand it. I love him sitting on this little Myths & Magic Specialty DSP collection. The “grass” was created by stamping the Burlap stamp in Old Olive ink on Old Olive card stock, then cutting a wave in the top to give the effect of hills. The words were cut with the Stitched Shapes dies.